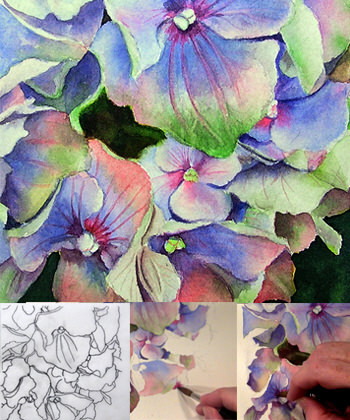 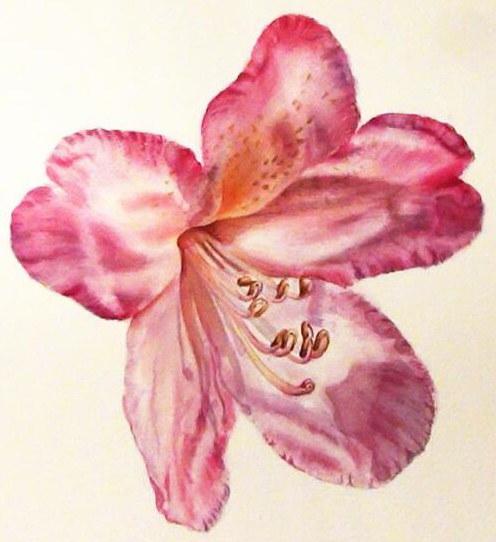 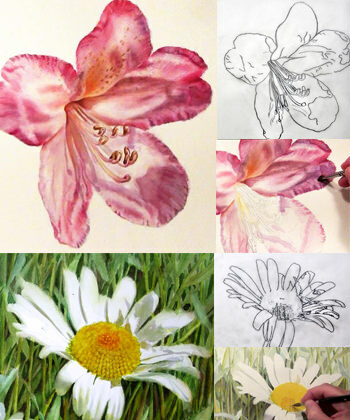 In this beautiful flower study Doris shows how to create the undulations on Rhododendron petals. 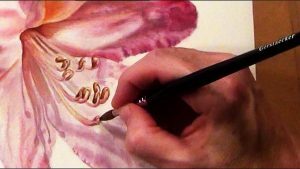 This really makes a lot of fun to create this undulations with watercolors. 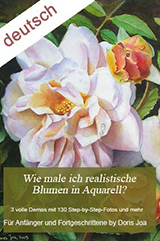 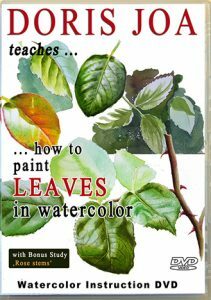 Learn also how to paint warm and cool areas, how to get depth in the center, how to paint the stamens and the anthers. 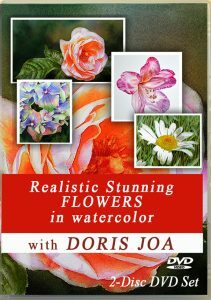 Doris works with her easy to follow technique. 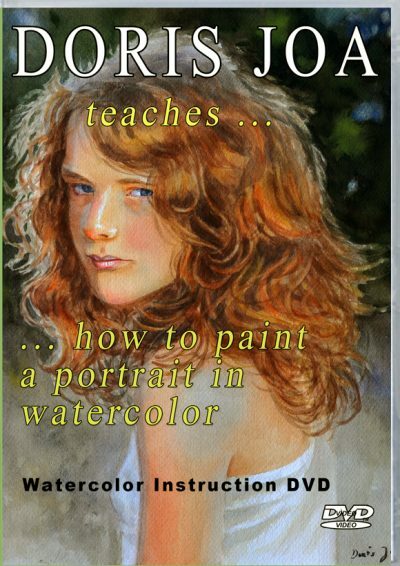 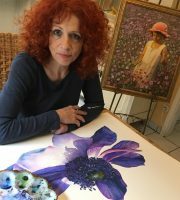 She uses only the common watercolor techniques like wet-on-wet or wet-on-dry. 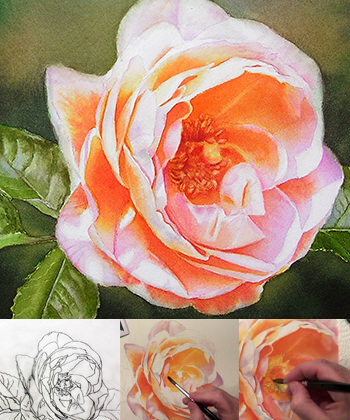 Learn to use a dry brush to create texture and how to make it all looking so real. 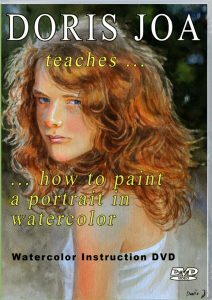 Learn to create dancing shadows and get useful tips while painting. 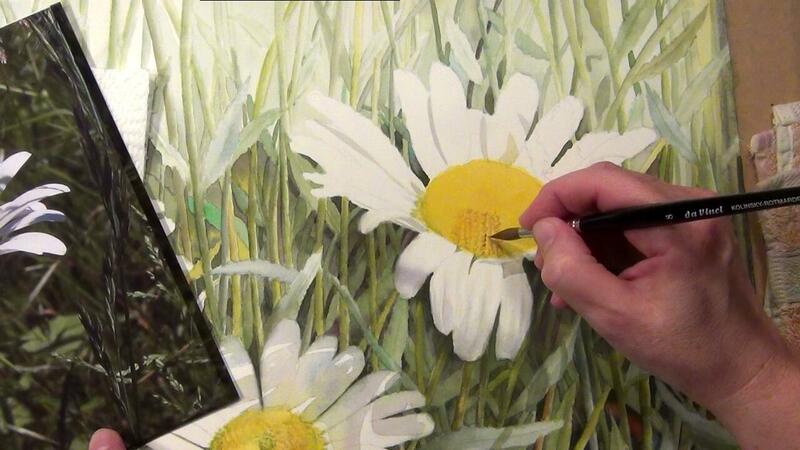 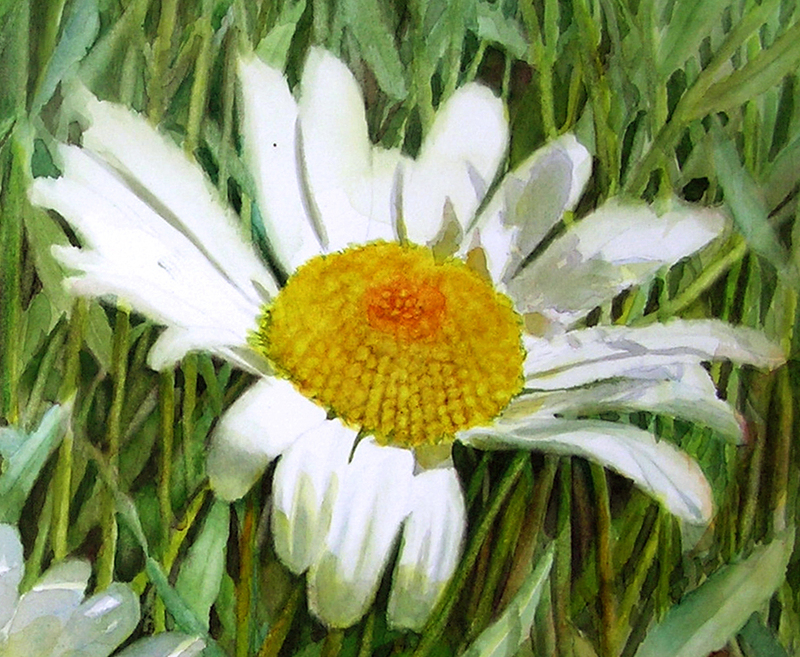 In this Demonstration Doris shows how to create the glowing detailed center of this beautiful White Daisy. 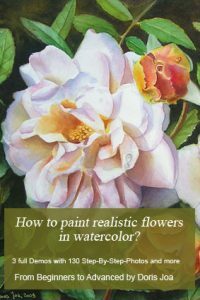 In flower paintings it is often so important to have the details painted at the right place so that the flower look real as if you could pick this flower out of the frame. 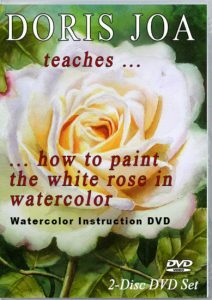 Learn how to create a three dimensional center and how to paint beautiful shadows the white petals.